Oh it has been too long since I’ve published a food post here on the blog – even though that “Appetite” has always been a part of the name itself. 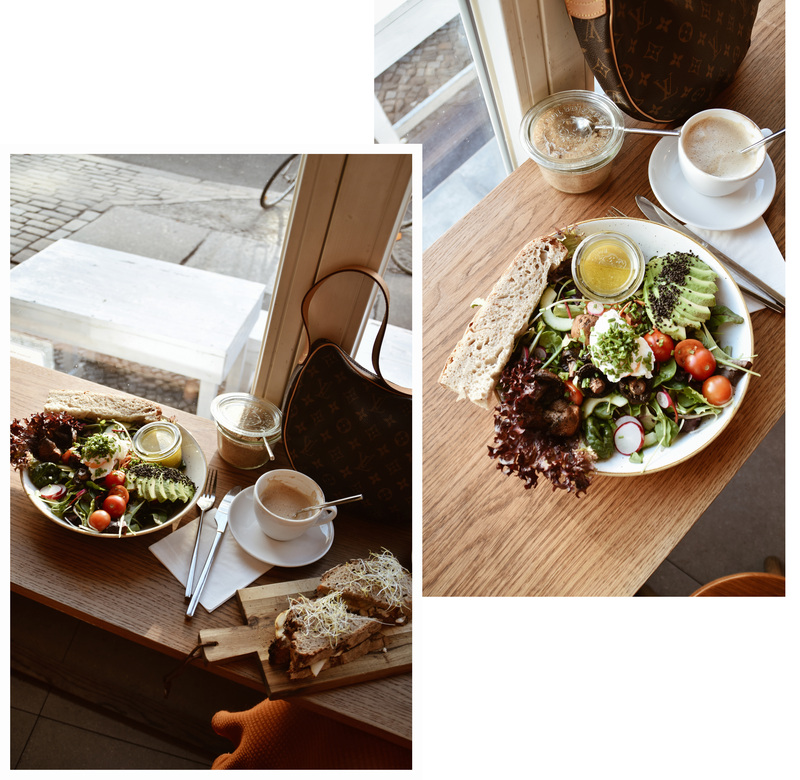 So which today’s post I’m promising to be better in this section and that there will be much more recommendations for cute cafés, nice restaurants and all other food tips! Whether they will be here in Berlin or around the world. So look out for the “Appetite” in the headline and you’re sure that it’s new Food post! 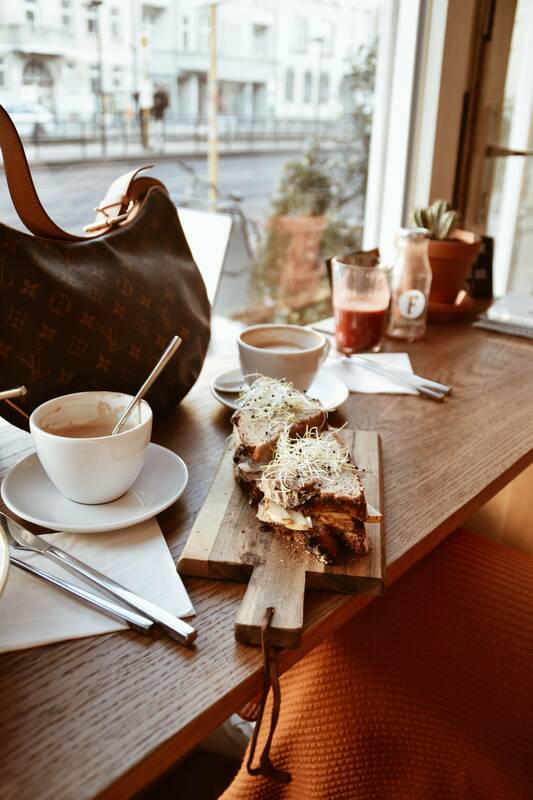 So today we are kicking off with a perfect location to brunch, lunch or just have a coffee in the middle of Berlin. Fechtner has been a reliable source for us for having a good start into the day. The biggest advantage is probably the free combination of any egg dishes that you like – whether you’re going for poached or scrambled eggs, you can always add any topping and bread that you like. Of course there are also some standard meals like Eggs Benedics and Eggs Florentine or salads and sandwiches. My favorite definitely was the goat cheese-pear-fig-sandwich (as you can also see in the pictures). 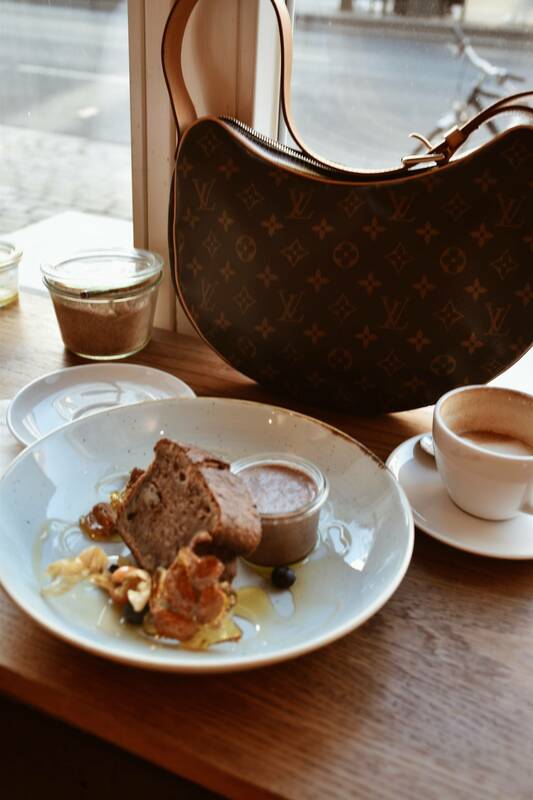 Furthermore, you can also go for sweet dishes like banana bread, croissants or porridge. Along with a fresh pressed juice, smoothies full of vitamins or a ginger show if you want to be extra healthy. 😉 But of course you’ll also get your caffeine fixed. 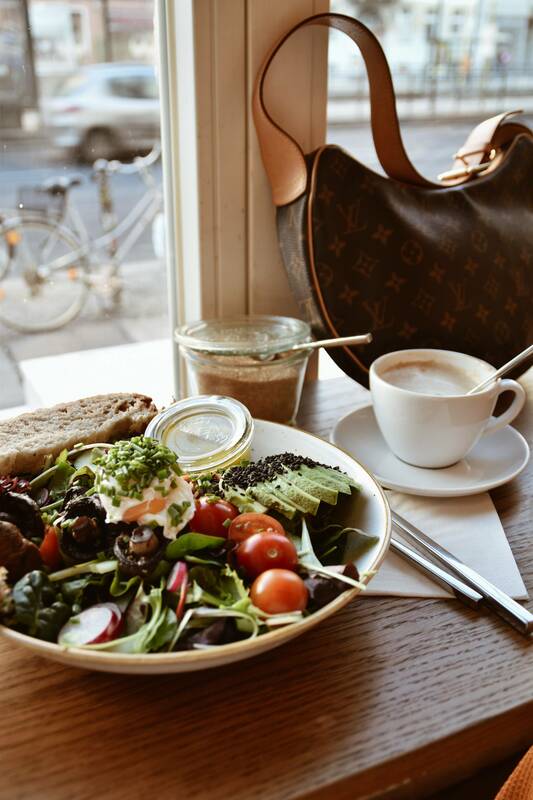 Another advantage: usually you cannot book a table in many cafés in Berlin for brunch, but here it’s possible. So let me know if you’re a fan of the re-launched food category and if you’re particularly interested in specific locations? Find more Berlin Spots here & more Food posts here. ja bitte mehr “Appetite”-Posts. Ich bin vor allem für Städte Trips immer auf der Suche nach lackerem Essen.